Behavioral speech therapy interventions for individuals with Parkinson’s disease typically focus on increasing the amplitude of voice and speech production. Most patients’ typical response to an increase in loudness during the early weeks of therapy is almost always a statement like: “this is too loud,” “I feel like I’m screaming,” “this doesn’t feel normal.” The last comment, in particular, speaks to the fact that modifying or changing a habit and replacing it with another behavior, can at first be difficult. Lying down new motor patterns and re-wiring the brain requires lots of repetition and practice that focuses on the target behavior and desired outcome. At the moment, I have a few patients that are finding the change in perception difficult. One, in particular, an engineer by background, asked today if he could hear himself. So, I audio recorded him while he performed some of his speech tasks, and near the end of his session another patient joined us and also provided feedback. When the engineer heard himself, he said: “I sound normal,” “it’s not what I imagined in my mind.” The patient who joined him affirmed that his voice sounded “great,” and went on to let him know when his voice dropped too soft. Perception of the world, and perception of ourselves has a lot to do with what we believe at any given moment in time, as well as what our mind constructs from our sensory experiences. A symptom for many people with Parkinson’s disease is a change or decline in speech and voice quality, leading them to speak less and repeat more. And even though many individuals may have some awareness of the communication problems that their voice decline poses, they may also argue that a request to speak at a more normal level of loudness feels to them “too loud,” or “feels like yelling,” supporting the theory that self-perception of voice may also be impaired. So, for many years now, voice researchers interested in the treatment of speech problems associated with Parkinson’s have reported, that re-training self-perception of appropriate vocal loudness is key for intelligible speech in persons with Parkinson’s disease, and this change in perception is a key element for successful response to voice treatment. A video or audio recording of a patient during their initial speech and voice evaluation can be the first step in re-shaping perception. 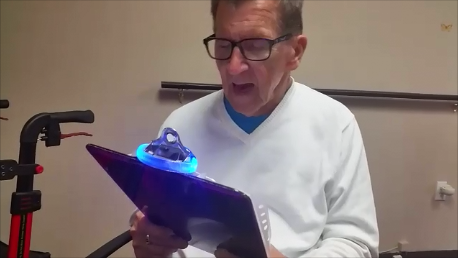 During the initial evaluation of patients I utilize a variety of methods, modalities, and feedback including, the Hi-VOLT® light, a calibrated voice activated light. In response to a single cue: “speak loud enough to activate the light,” patients are often capable of a significant gain in vocal intensity and better overall speech production. Hi-VOLT® provides calibrated feedback, and YES, YOU CAN DO THIS AT HOME! When seeing and hearing themselves on tape, a patient may begin to truly realize that their speech has changed and is no longer effective for day to day communication. But, equally important is seeing and hearing the effect of cueing on loudness. The improvement in speech production can show patients what’s possible, affirm to them that they are capable of using their vocal instrument in a healthier sounding way, and the recording can set a target for expected improvement in therapy. “But, I don’t have any problems with my speech or swallowing,” you might say. Perhaps that’s true, and if so, then your initial consult with a speech-language pathologist will be an opportunity to establish a baseline of functioning, to which future assessments can be compared, and an opportunity to learn an exercise program that may help delay progression of speech symptoms. On the other hand, you may discover that your self-perception of voice is off. It may be providing faulty feedback, and the problem you “don’t think you have”, may actually be present or emerging. Upcoming Parkinson’s EXPO on April 13th, Neuro Challenge Foundation, based in Sarasota, Florida will be hosting a day long program of interactive learning. Last year over 1500 people with Parkinson’s, their families, and health care providers attended this free event. Also this year, Neuro Challenge is offering (1) CME credit hour and (1) CEU credit hour for physicians, nurses, physical therapists, occupational therapists and speech therapists at no charge. Want to learn more? I second guess myself all the time. I absolutely agree earlier intervention is a key part and periodic reevaluation and maintenance. 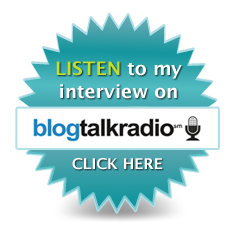 To locate speech-language pathologist in your area with expertise in working with individuals with Parkinson’s, I would recommend you visit the LSVT Global website for a listing of their LSVT LOUD certified providers, and/or the Parkinson Voice Project website for providers of Speak OUT!, an alternate speech therapy program. I am having speech challenges and would like to know more about your personal intervention services. I also would like your recommendations regarding qualified speech/language therapists with experienced PD/ neuro challenged patients in the Venice/ Sarasota area.